The EaP CSF Armenian National Platform has adopted a statement on the impossibility to continue its activities due to the absence of funding since November 2017. The absence of the funding from the EU is especially alarming against the backdrop of the ever-growing need for the civil society expertise in the process of implementing the Comprehensive and Enhanced Partnership Agreement (CEPA), and the overall increasing support to the CSO sector in Armenia by the European Union. CEPA signed in November 2017 is a new kind of agreement providing for the establishment of a bilateral Civil Society Platform similar to those created in Georgia, Moldova and Ukraine on the basis of the Association Agreements. 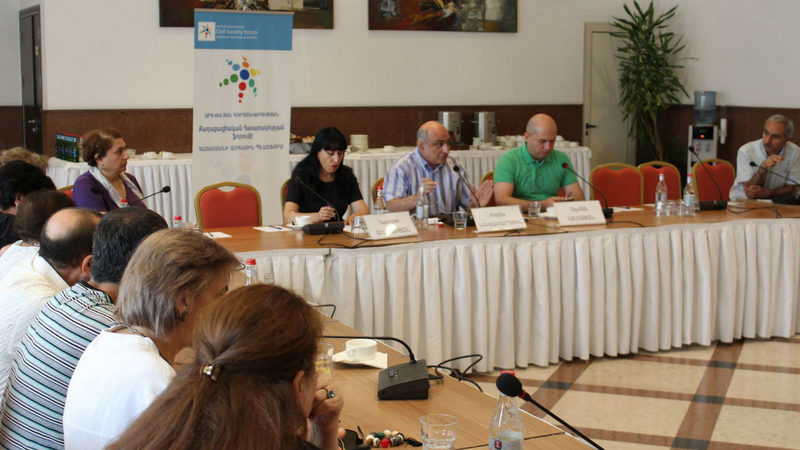 The Article 366 established the Civil Society Platform as a forum to meet and exchange views consisting of various civil society representatives, including the EaP CSF Armenian National Platform. The EU-Armenia Partnership Priorities stipulate that the civil society has been consulted on their establishment and will play an important role by contributing to the monitoring of their implementation. The 2020 Deliverables clearly set out the 2020 target for the deliverable of the structured engagement with a wider range of civil society organisations – the well-functioning and regular multistakeholder policy dialogue through the Eastern Partnership Civil Society Forum and its National Platforms. The decisive role assigned to the Civil Society Forum and its NPs should be matched by the comparable support to its structures. The Armenian National Platform has a proven track record of the policy expertise and participation in trilateral dialogues and EU consultations. In this crucial time for Armenia and its commitments to reforms and deepening cooperation with the EU, it is more vital than ever that the work of the civil society continues and intensifies. We are therefore calling on the EU institutions to address the unintentional freezing of the funding for the National Platform for 2018 as soon as possible while our Armenian members reaffirm their readiness to come up with new initiatives and deliver on the expectations from the civil society involvement in the policymaking.